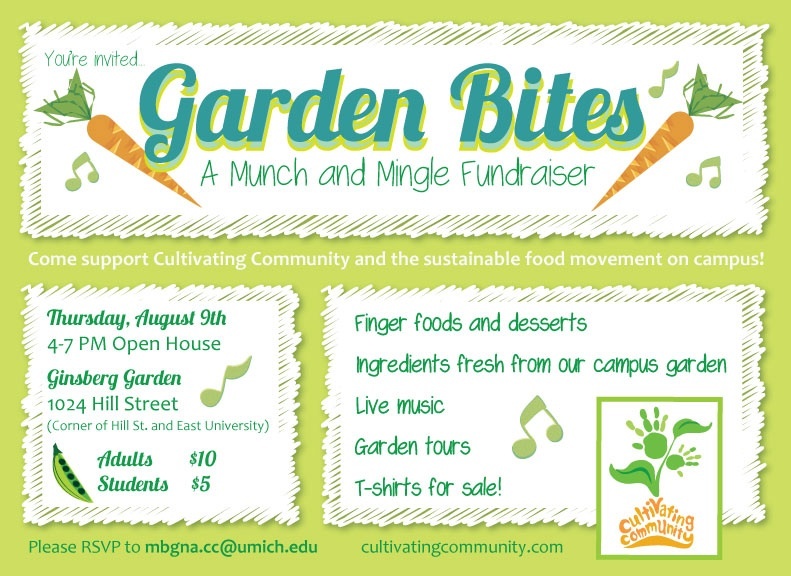 Cultivating Community: Garden Bites Fundraiser! Come support Cultivating Community! Garden Bites Fundraiser! Come support Cultivating Community! Food and music in the garden!